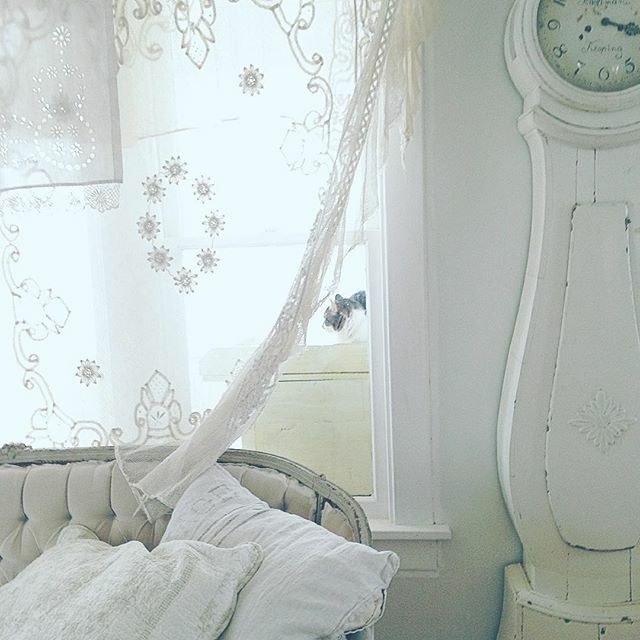 Is there any romantic and airy design style that captures my heart quite like the serenely dreamy French Nordic Interior Design Inspiration you see here? 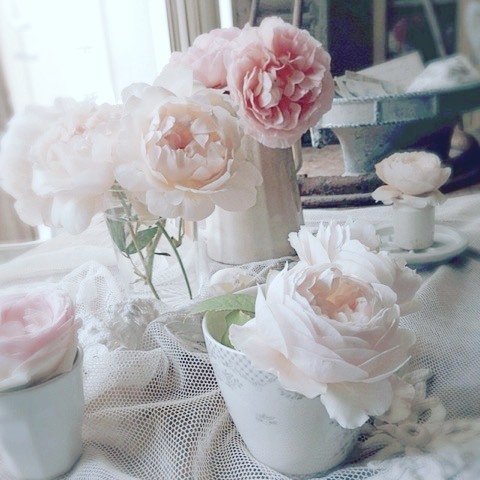 Design & Photo: My Petite Maison. 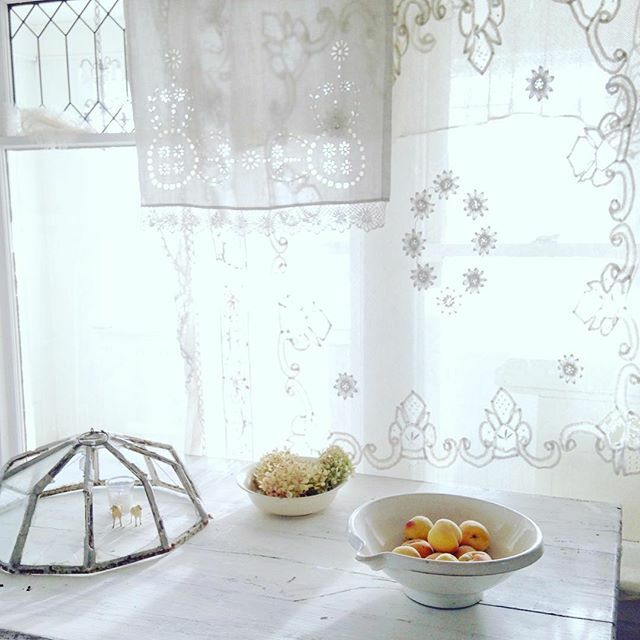 French Nordic Interior Design Inspiration…certainly lovely indeed. 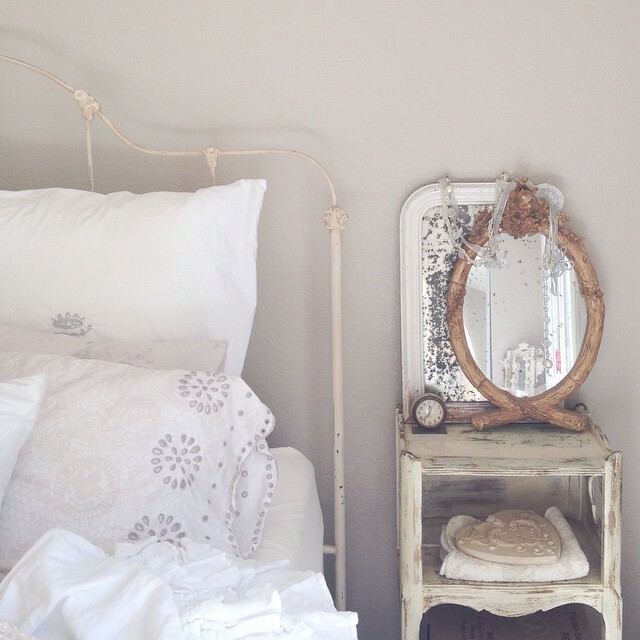 Beautiful white on white decorating ideas, shabby chic style, and Swedish inspired interiors. Nordic French home tour. 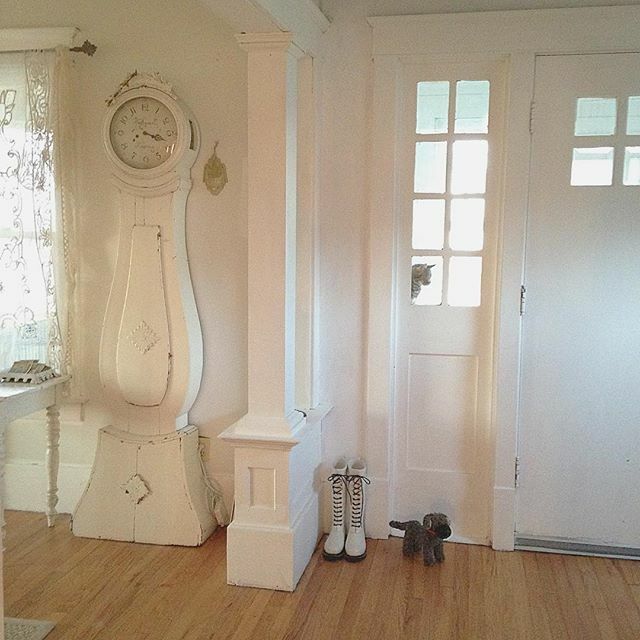 Tracie of My Petite Maison has created a wonderland of a French Nordic Home. 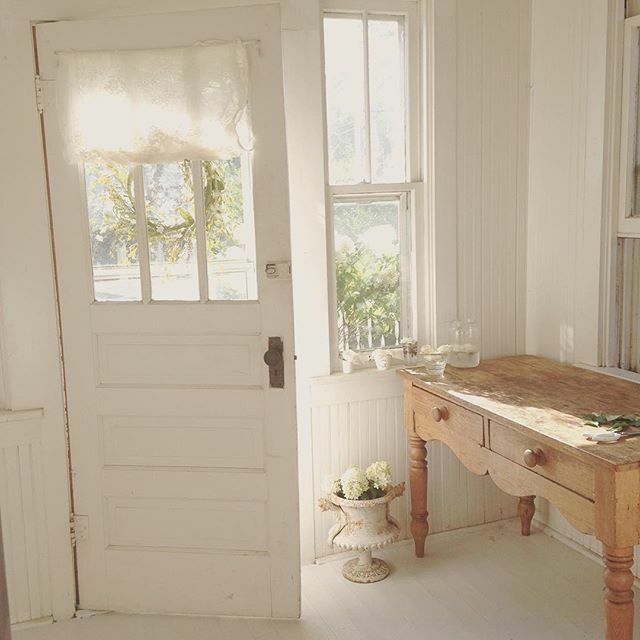 For admirers of Swedish antiques, white on white decor, and weathered treasures mixed with gentle light and tender loveliness, the spaces breathe with effortless charm. 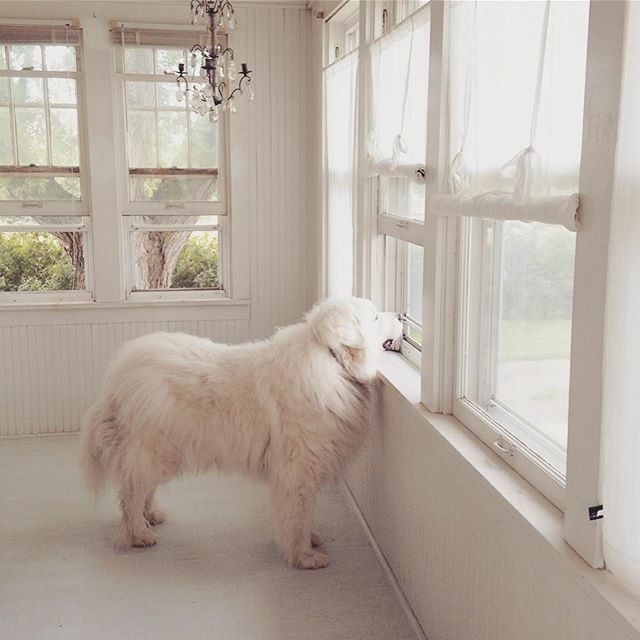 I fell hard for her popular and lovely Instagram feed with its intimate posts and heartfulness. What a double blessing this gifted soul has a shop offering vintage and antique finds for us to discover! I love helping you add style and function to your home with thoughtfully selected decor recommendations. Thanks so much for your support as you use independently chosen affiliate links which may earn this blog a small commission. 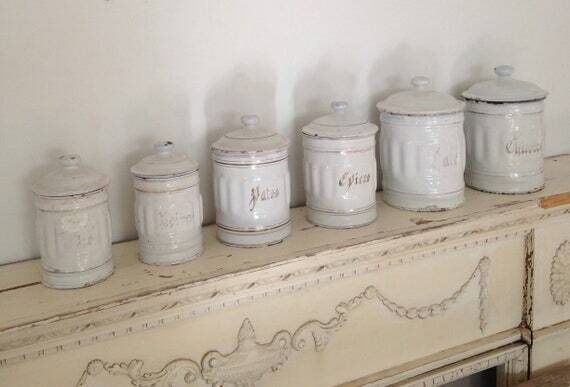 Beautiful vintage French canisters, find here: My Petite Maison. 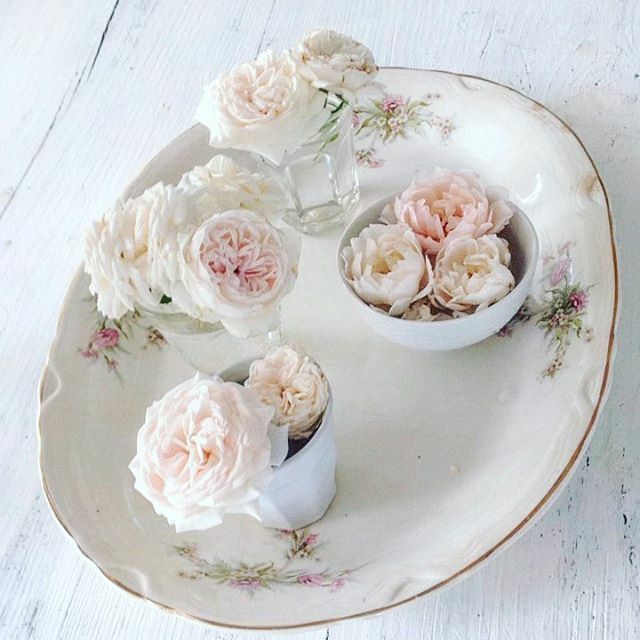 Antique French Faience Sugar Bowl, find here: My Petite Maison. 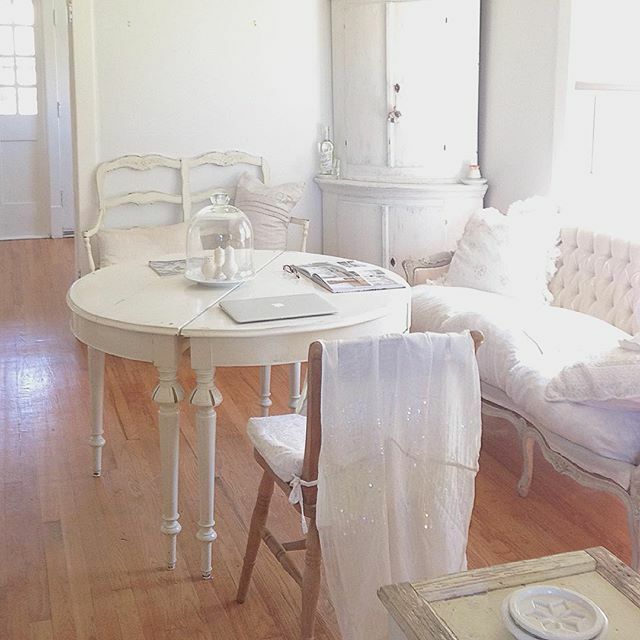 Design & Photo: My Petite Maison. 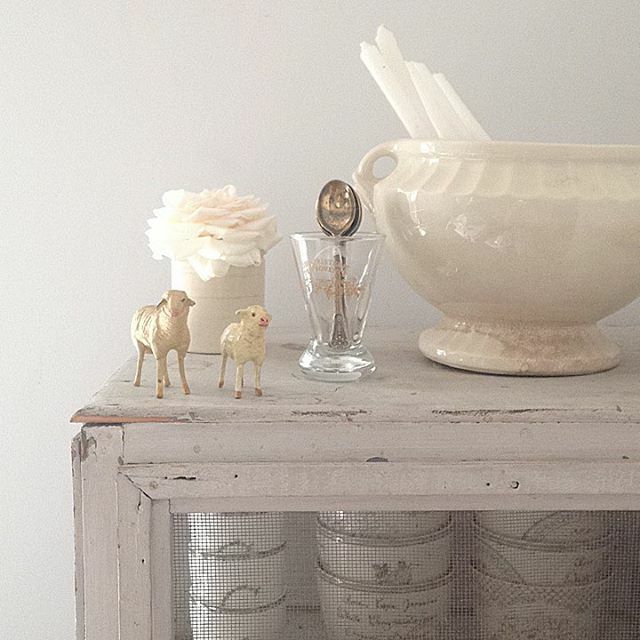 French Nordic Interior Design Inspiration…certainly lovely indeed. 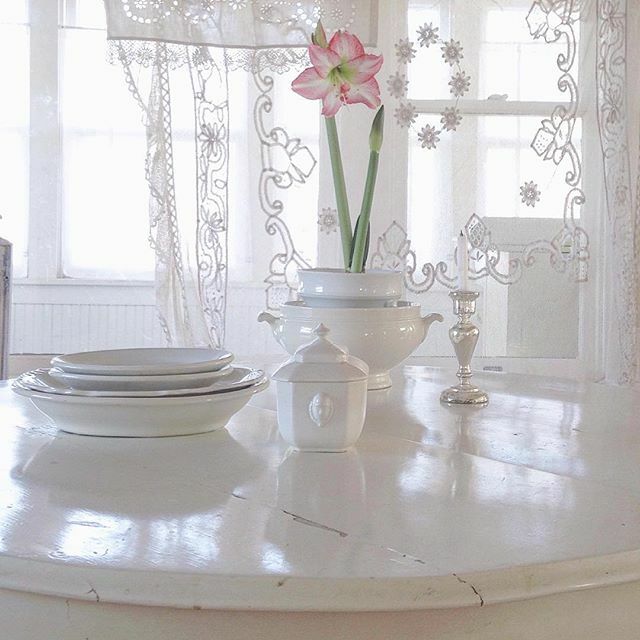 Beautiful white on white decorating ideas, shabby chic style, and Swedish inspired interiors. Grey petite French footstool find here: My Petite Maison. 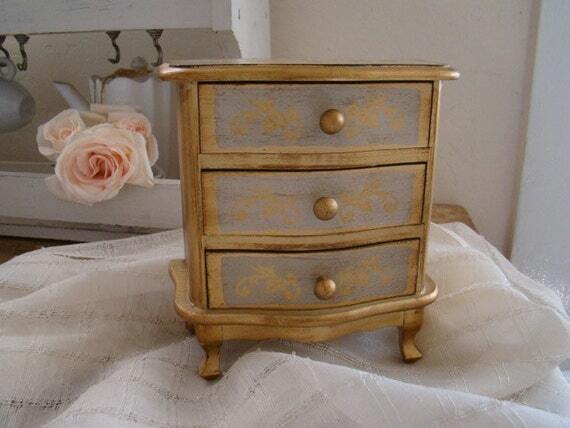 Vintage Florentine Jewelry Box, find here: My Petite Maison. 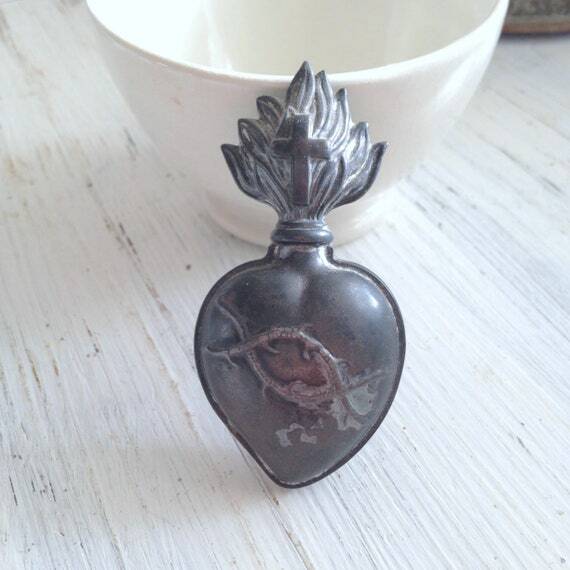 Antique French Ex Voto – Sacred Heart of Jesus, find here: My Petite Maison. 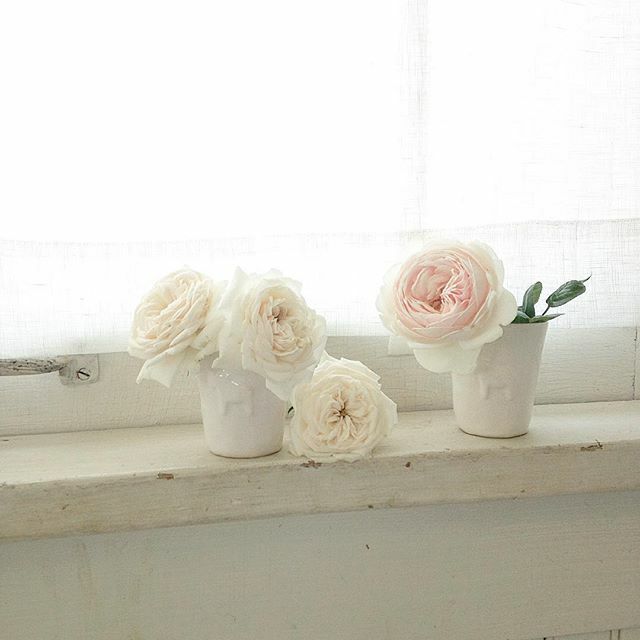 Design & Photo: My Petite Maison. 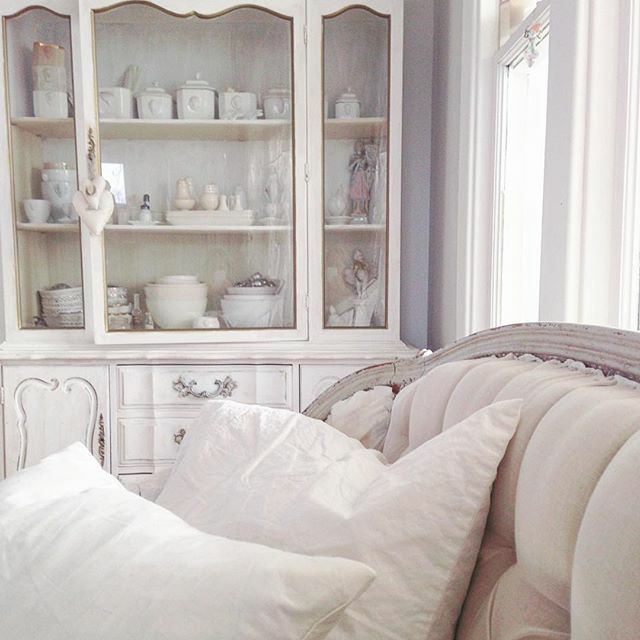 French Nordic White Interior Design Inspiration…certainly lovely indeed. 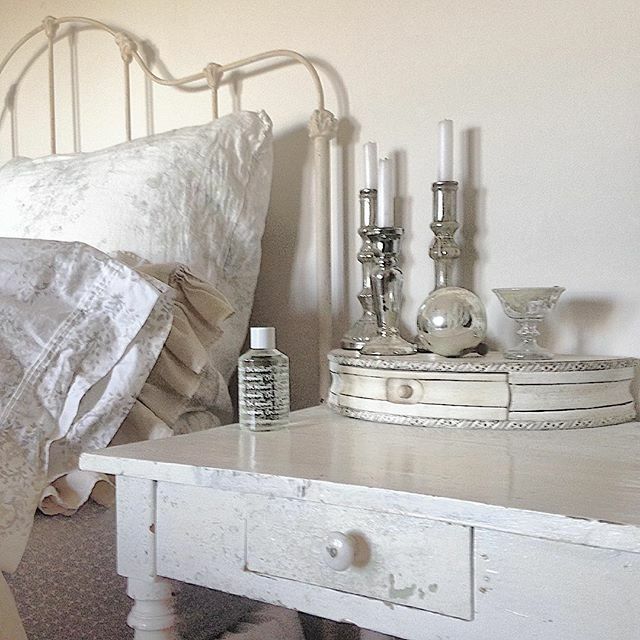 Beautiful white on white decorating ideas, shabby chic style, and Swedish inspired interiors. 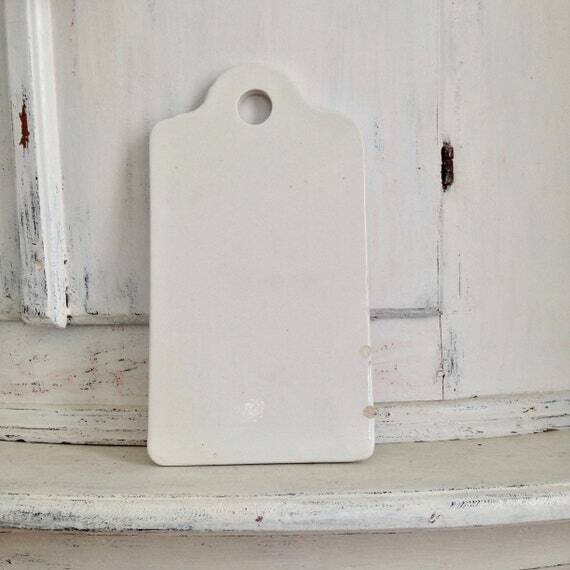 French ironstone board, find here: My Petite Maison. Tracie is a talented gardener and lover of roses! 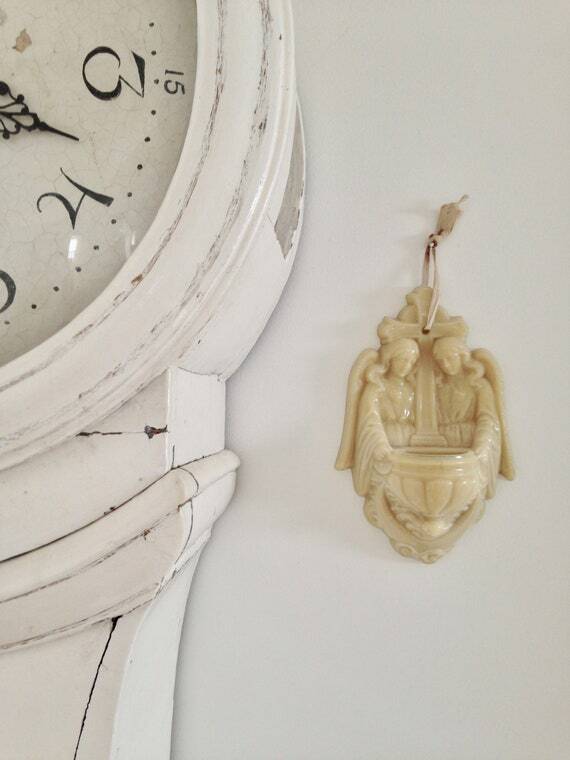 Antique French Holy Water Font, find here: My Petite Maison. 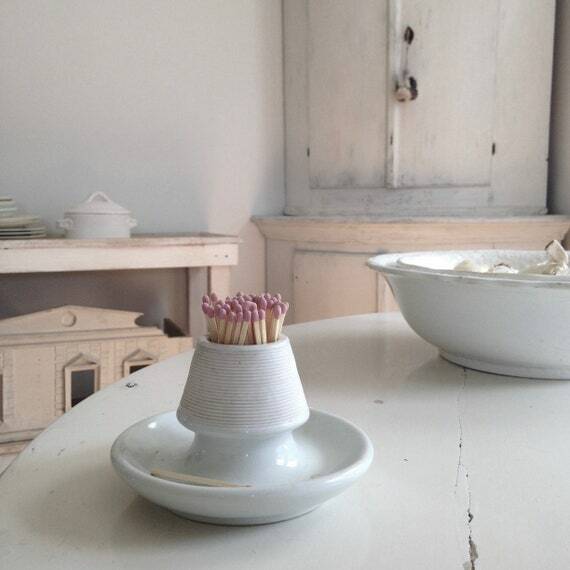 Antique Bistro Pyrogene French Match Strike, find here: My Petite Maison. 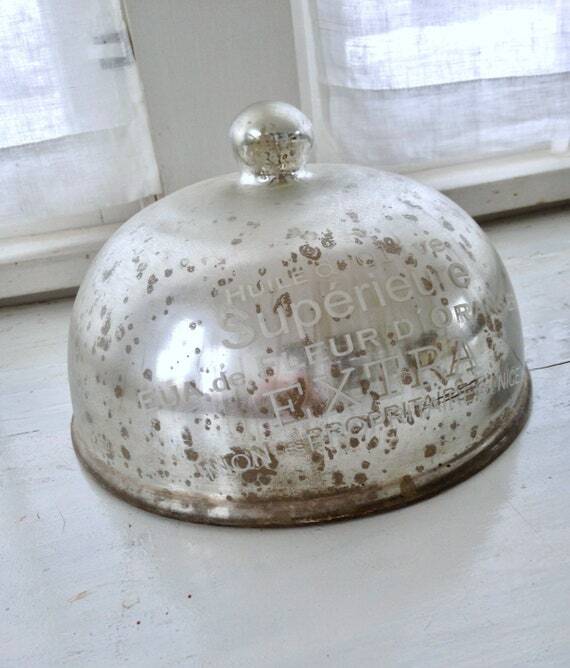 Mercury Glass Dome, find here: My Petite Maison. 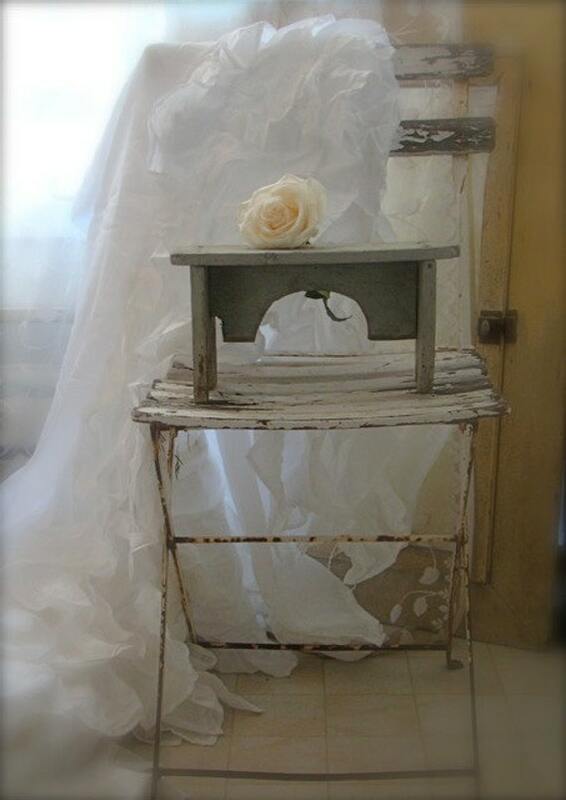 Design & Photo: My Petite Maison. 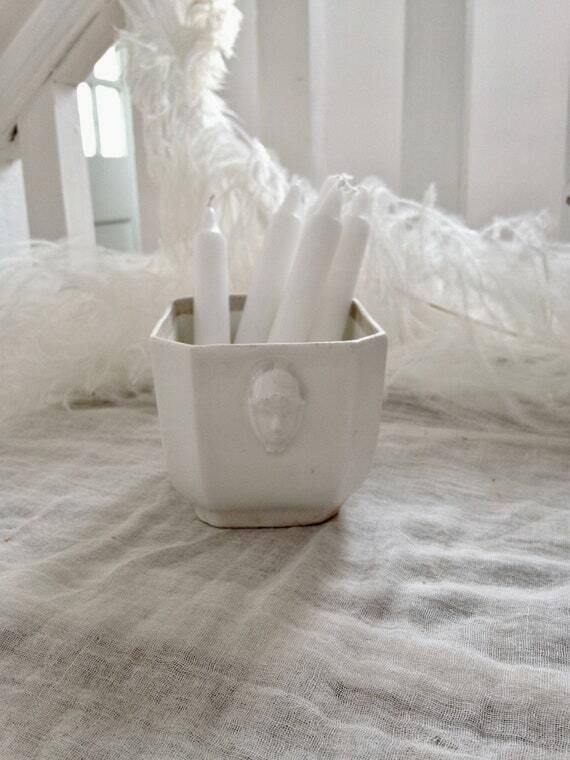 French Nordic White Interior Design Inspiration…certainly lovely indeed. 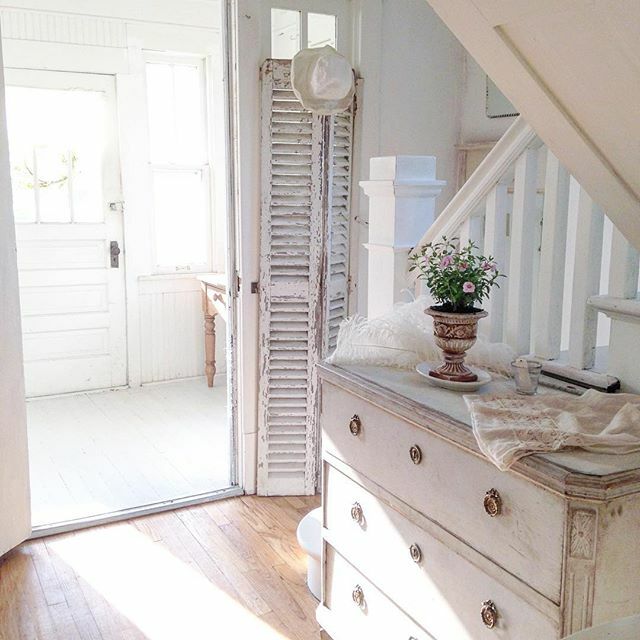 Beautiful white on white decorating ideas, shabby chic style, and Swedish inspired interiors. Nordic French home tour. 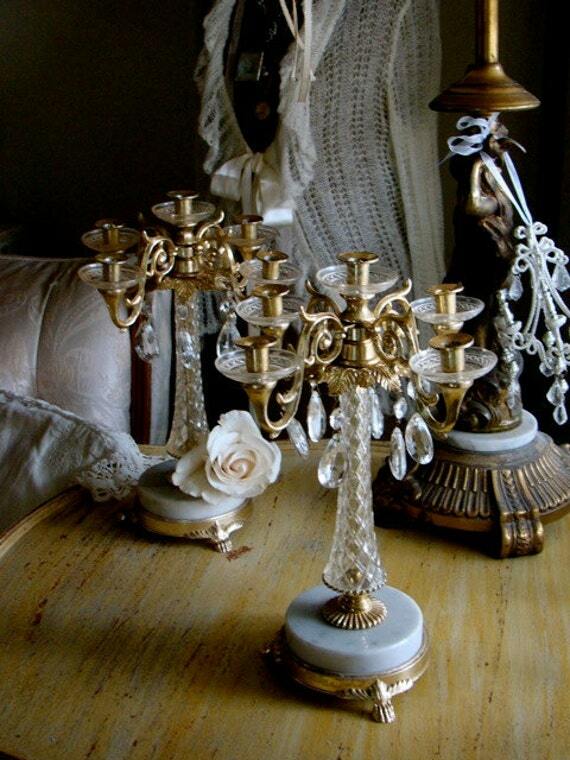 Italian Candelabra with Original Vintage Crystals, find here: My Petite Maison. 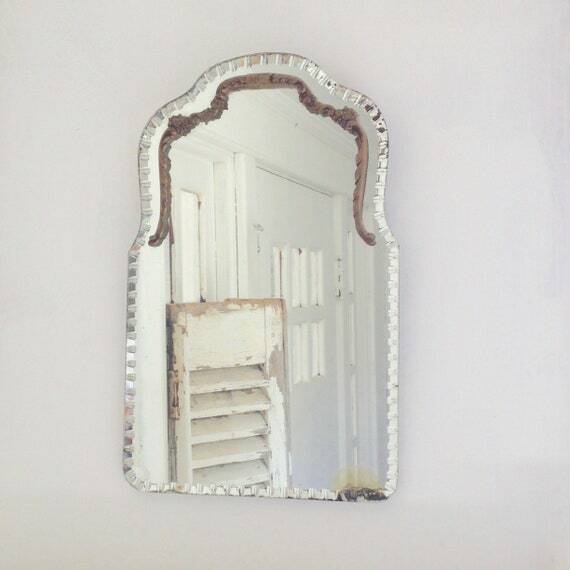 Beveled French Mirror, find here: My Petite Maison. Nordic French Home Tour. My Petite Maison. My Petite Maison. 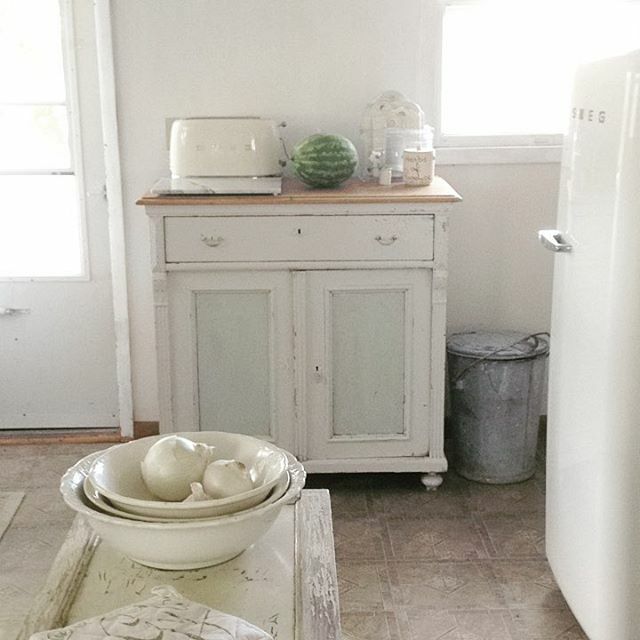 I spy a gorgeous snow white Smeg toaster! 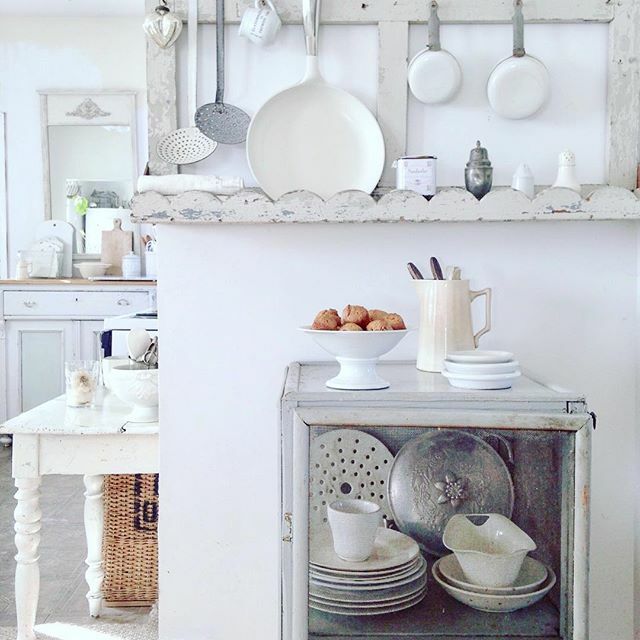 In the Mood for Rustic French Country? Anyone easing into the spirit of Thanksgiving, advent, and holiday magic? 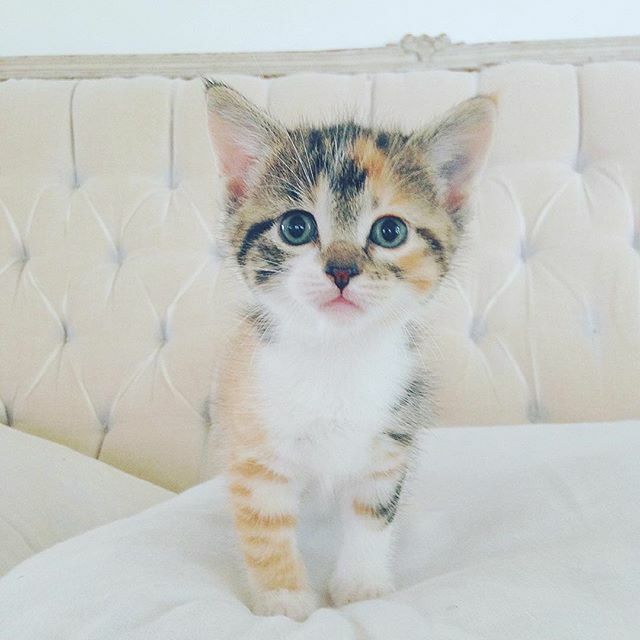 With our beautiful blanket of white snow, it certainly feels like the holidays to me…see this CELEBRATION OF PLAID FOR THE HOLIDAYS for inspiration and try not to fall in love with this rescue kitten at My Petite Maison! 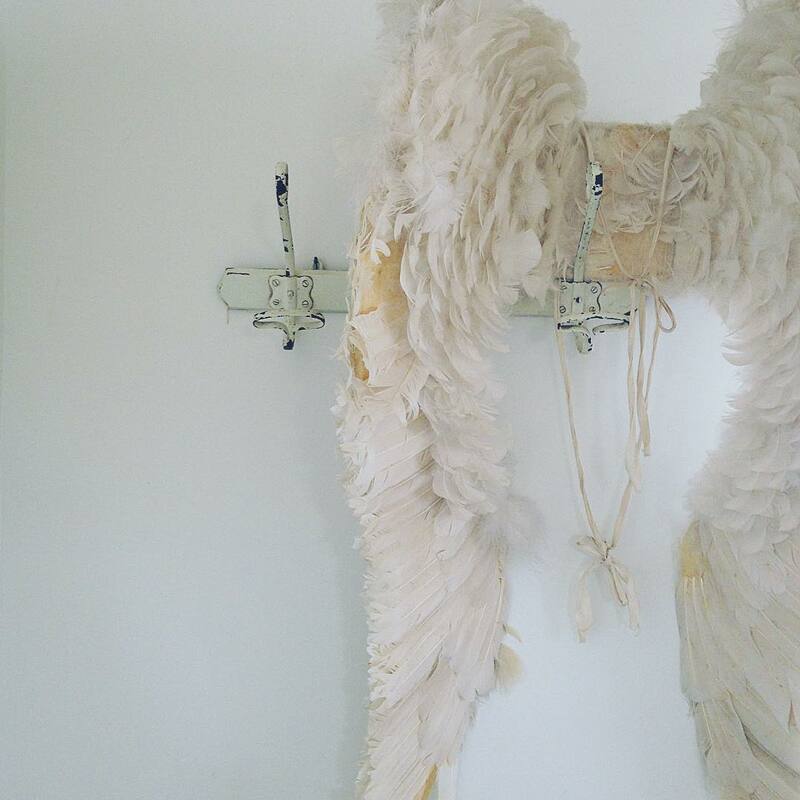 A special thank you to Tracie for sharing her enchanting interiors with lovers of white decor! 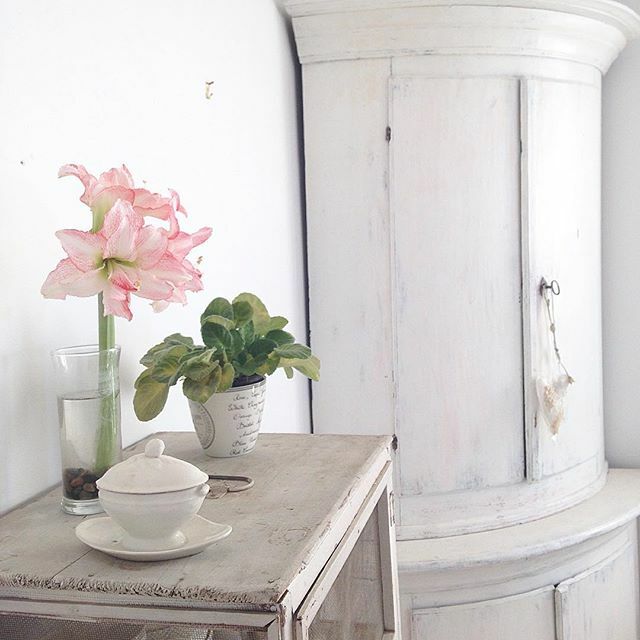 If you missed this story about a rustic white cottage, do take it for a spin.